Is the Truly shuttle truly worth it? Daniel Evans is a pre-medical student studying health studies with a minor in biology and chemistry at the University of Washington Bothell. 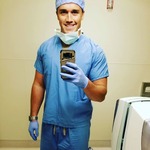 He aspires to be apart of the medical team in the United States Navy and serve his country as a trauma surgeon. Daniel has a background in performing analytical studies in a financial setting at the R.L Evans company located in Bellevue Washington. Some of these studies include yearly reports on client personal goals, response and personal gain.